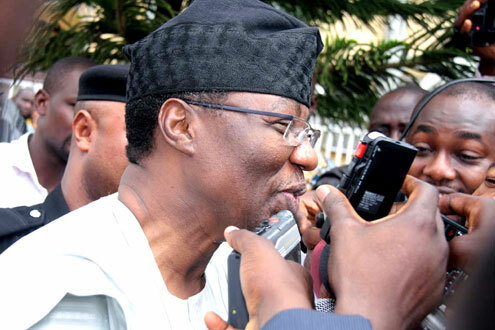 Former Governor of Ogun State and Director-General of the Atiku Campaign Organisation, Otunba Gbenga Daniel on Sunday said his supporters are asking him to lead them to the All Progressives Congress, APC. He said he is considering their request to lead them to APC. Daniel had on Saturday resigned from the Peoples Democratic Party, PDP, and quit partisan politics, but it appears the former governor is playing another card right now. He told journalists after a meeting with his supporters “from across” Ogun State that his supporters had made it clear to him that he could not quit politics right now, and that they want him to lead them to the APC. He said, “You know that this process is about leading people and what we have done today is to call all of our people across the length and breathe of the state to subject our decision to a kind of plebiscite and, of course, you have seen what they have said. At the meeting which held at the Asoludero Court of the former governor in Sagamu, members of Daniel’s political group asked the former governor to lead them to the APC. Daniel had earlier addressed the gathering of his loyalists and told them he was done with partisan politics, but members of his political family, and some top officials of the PDP, prevailed over him saying they are ready to pitch their tent with the ruling party. They noted that Daniels’ influence, endorsement and support for APC’s Dapo Abiodun, had a great impact in deciding the governorship race in the state. The former governor’s loyalists agreed that he can resign from the PDP, however, they noted that his political journey is far from over, insisting that he leads them to the APC, Channels Tv reports. You see. It is not about personal conviction. Neither is it about ideology and institutions. It is about personal interest! You can then imagine what the final product will be. Shame!